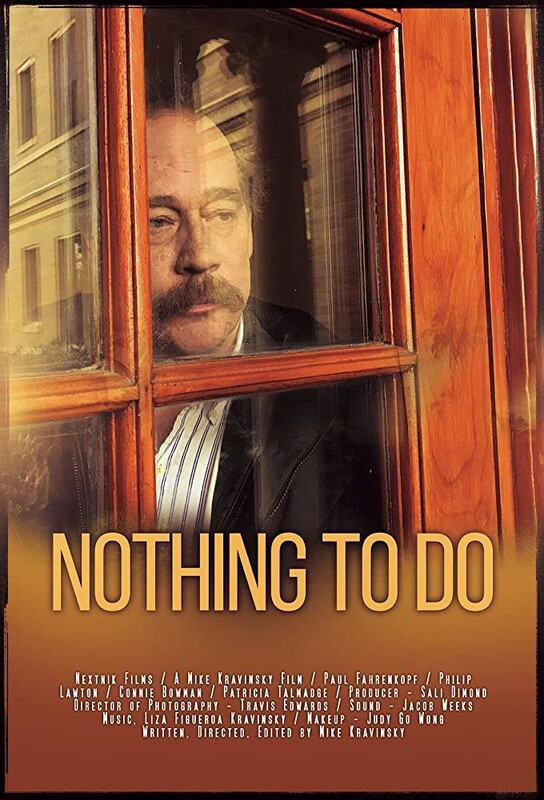 What’s up everyone, it’s Sam here to talk to you about the film, "NOTHING TO DO" that is available now through Amazon prime video. I enjoyed this film. The characters are relatable in a way that you feel like you know these people in everyday life. Kenny, a radio disc jockey who is a beer and pizza lover looks like your neighbor or someone you’d see at a local dive bar during happy hour. He has a nonchalant personality type who always seems to live in the present without a care about yesterday, tomorrow, not even the next 5 minutes. Connie is astute, rigid in personality and appears to live her life by a checklist that defines her success. I don’t see her as an intentional domineering she-wolf, but I definitely think she is the micromanager at your office, who makes your eyes roll the second you see her. When you see these two, you wonder how they could ever come from the root that created a family tree. The branches are definitely on opposing ends. In the duration of this film, you will see what a lot of families endure when they have to face the fact of watching a parent die. Examined are varying degrees of acceptance, denial and the revealing of secrets. The director shows us, Irv’s contemplating his life in relation to his children, their distinct personalities he has seen starting from their childhood and how they relate to their opposing perception of his death. Also, there is the question Kenny and Rachel regard, of what will their lives become with both parent’s gone (mom already died). You will also see there is a small plot line of a blossoming friendship as it may turn into love. So if anything, I have said tickles your fancy, then, by all means, go to Amazon Prime video and check this one out. Just be warned it is a contemplative story, possibly one you’ve been through or one you may be facing. Never-the-less this is a good film that analyzes a tough subject with humor.